In all good dramas the critical turning point is always at do or die. When a tree is very sick, sometimes there is still life in a root and the infection needs to be treated below the ground before it's too late. Unfortunately, but also inevitably, we are there now. Your father President Chaim Herzog made a deal with the Ukraine to bring Rabbi Nachman to Israel as the halacha requires and as your grandfather Chief Rabbi Isaac Herzog confirmed. Somehow Shass (except Rav Ovadia Yosef himself) and Gimmel (Rabbi Berland) reversed the Halacha (yereh dea 363) which states that a man's own sons are supposed to disregard the written will of a father who doesn't want to be buried in Israel and actually exhume him and transfer the body to Eretz Ha Kodesh. In all sincerity, bringing Rabbi Nachman to Mt Zion instead of the Mt. of Olives is THE critical and only way to reverse the ancient curse of anti-semitism. The hate of the 70 nations, the 70 interpretations of Torah, the 70 members of Sanhedrin, the 70 birthpains of a woman in labor, the 70 jews that died in Beit Shemesh when they saw the Kodesh Hakodashim are all results of the broken oath to Josef when we entered Egypt. 70 souls made a formal promise to G-d that they would see to it that Josef's bones be brought to Schem. 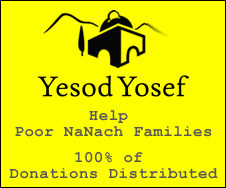 Moses couldn't find anyone except Serach Bat Asher to assist him, he actually asked 600 000 people individually for help. As you can guess there is much more relevant information here. Am Israel understands that through SImcha, there is achdut and through achdut we can bring Rabbi Nachman whose last words were appropriately: "What do you have to worry about, I go in front of you, just be together and I will be with you". Is that why we say "ki mitzion teze Torah ou Devar Hashem me Yerushalayim" but also "Nachamo, Nachamo which ends with the "Rosh Hashana" phrase: "ish lo needar". The root of the current disease was the would be conspiracy and assassination of the Tzaddik (Josef turned scapegoat. What we did to our head, the nations do to their head and if they follow in OUR footsteps they will reach the level of sole, you read that right, shoe sole. Are you, Mr Isaac Herzog, going to do that which is actually very simple? Get Rabbi Nachman on the Antonov 225 Mryia (for example). I have the world of Sam Ben Chetrit, President of the World Federation of Moroccan Jewry, that he will take over the project from that point if he is asked. The tree is very old, the diseased root goes back to pre-Egypt, the vaccination is finally available (it wasn't ready yet for the Shuchan Purim event). Sir with all due respects, we are at the do or die point and believe me, I am not the judge or even the lawyer, just an informed individual who takes his obligations seriously.